Thwarted by her failure to break into show business as an actress, Lucy takes to the typewriter and pens 'a tender, heartwarming story of a Cuban tobacco picker', "A Tree Grows in Havana". Naturally she wants Ricky to play the lead when the production premieres at a women's club play competition, but he absolutely refuses so Lucy has to settle for Fred. Since Mertz' Spanish accent leaves something to be desired, Lucy transforms the setting to England and retitles her effort, "The Perils of Pamela." When Ricky learns that a big Hollywood producer, Darryl P. Mayer, will be the judge, he wants back in the play. What he doesn't know is that the original script has been scrapped. The night of the show, he makes his entrance as per the Cuban version, while Lucy, Fred, and Ethel are doing the English rendition. The result is another maniacal mix-up. Special Notes: This was the first mention of the Wednesday Afternoon Fine Arts League. This episode is based on lucy's radio show, My Favorite Husband, Episode #112, "Liz Substitutes in a Club Play". 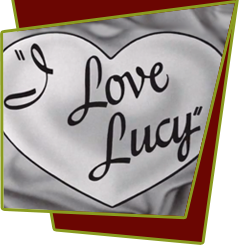 Bloopers: At the beginning of this episode, Lucy had just finished her play, but a few minutes later when Ethel shows up, Lucy suddenly has two copies.